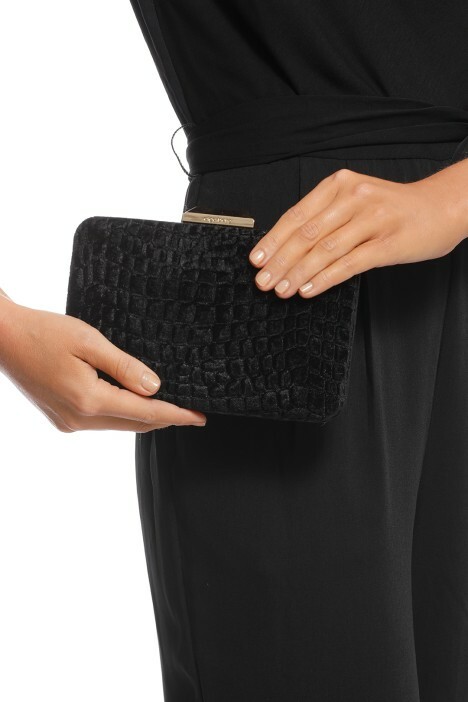 The Annalise Clutch by Olga Berg is the perfect finishing touch to your evening looks! Featuring a luxe croc-effect embossed pattern, the go-with-everything black clutch has gold-tone hardware and a roomy interior to store your essentials. Elegant and chic, rent it for an upcoming black tie or an evening event! Look red-carpet ready by styling the bag with a chic floor-length gown or a tailored jumpsuit. Complete the glam look with a bold red lip and gold statement earrings. Head over to our blog for hairstyle ideas to try for black tie events!